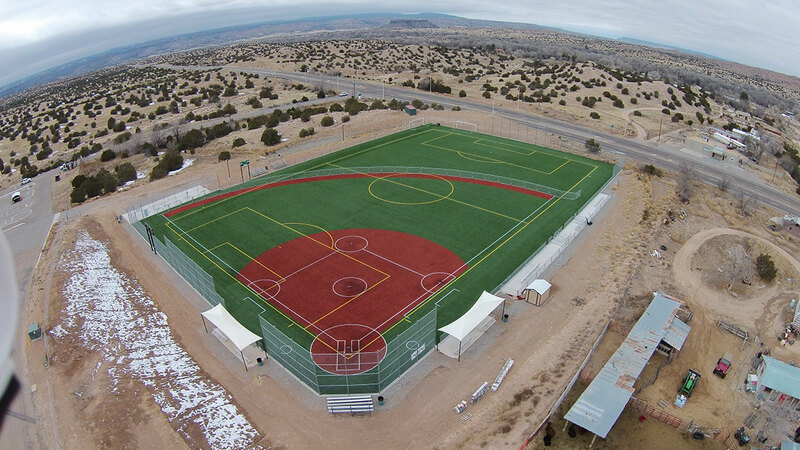 The Pojoaque soccer and softball field required particular attention, as they dealt with Title 9 athletics, a sensitive issue, and one that LDG takes great care with. There were multiple meetings throughout the design phase, whereby LDG collaborated/mediated between PVSD Staff, Faculty, Parents, and Coaches, to make sure that all athletics were equally served. 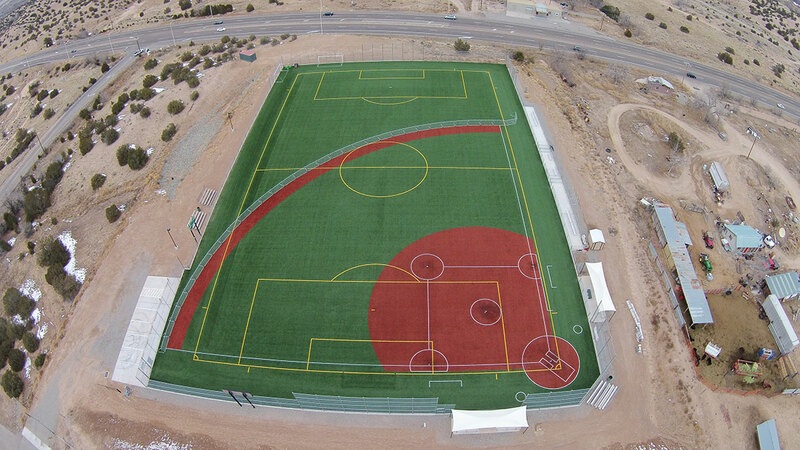 The solution to a limited budget and Title 9 rules, resulted in the design of a dual use field. The project also required phasing: the first being the field and surrounding fence. The next phase to be completed with funds from the next general obligation bond, will be field lighting, restroom facilities, and an announcers box. Both activities served by this field make for a very small construction window, which LDG navigated, and rapidly provided Construction Documents, Bidding Assistance, and Construction Administration.